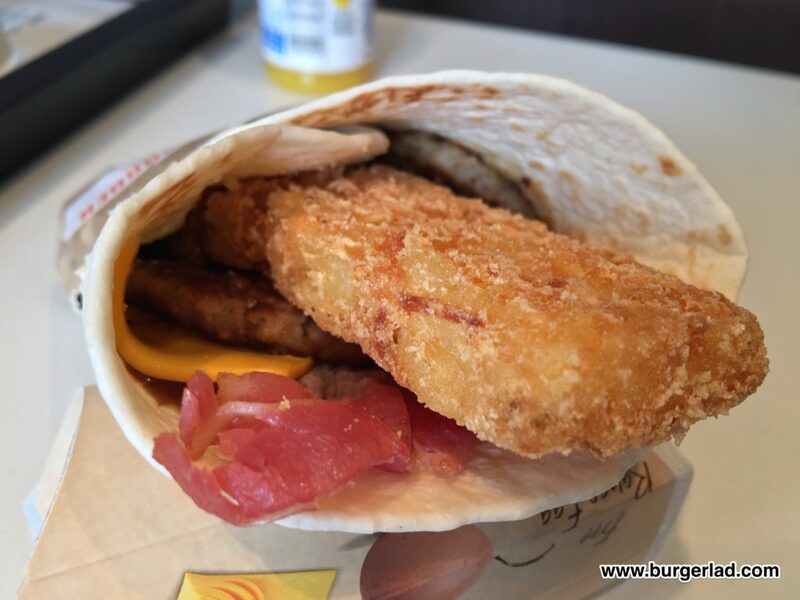 Welcome to our McDonald’s Breakfast Menu overview. 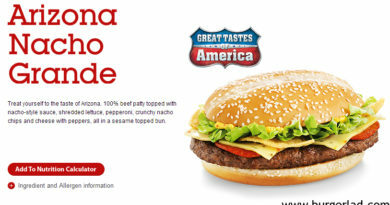 Are you looking for McDonald’s menu prices? Click here for the full menu. 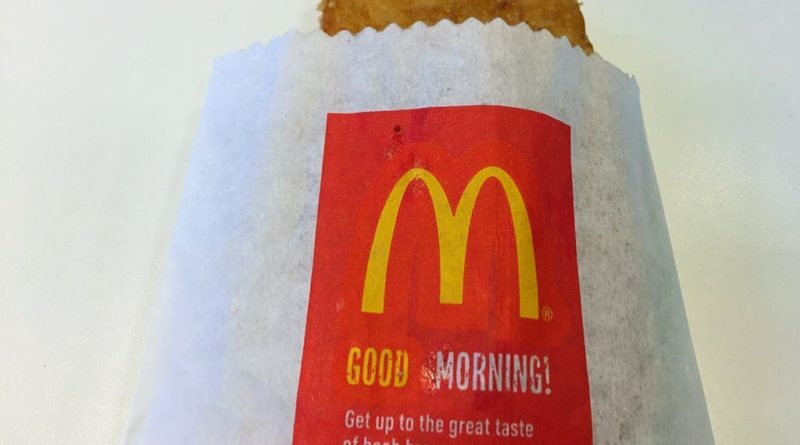 In 1982, breakfast was introduced to the menu at McDonald’s UK. 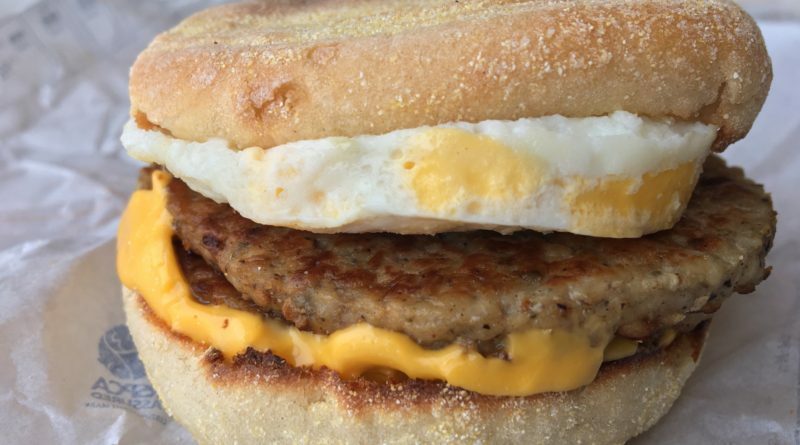 The very first time a McMuffin was served was back in 1972, when its inventor, Herb Peterson asked former McDonald’s President, Ray Croc to visit his Santa Barbara restaurant to sample his creation. 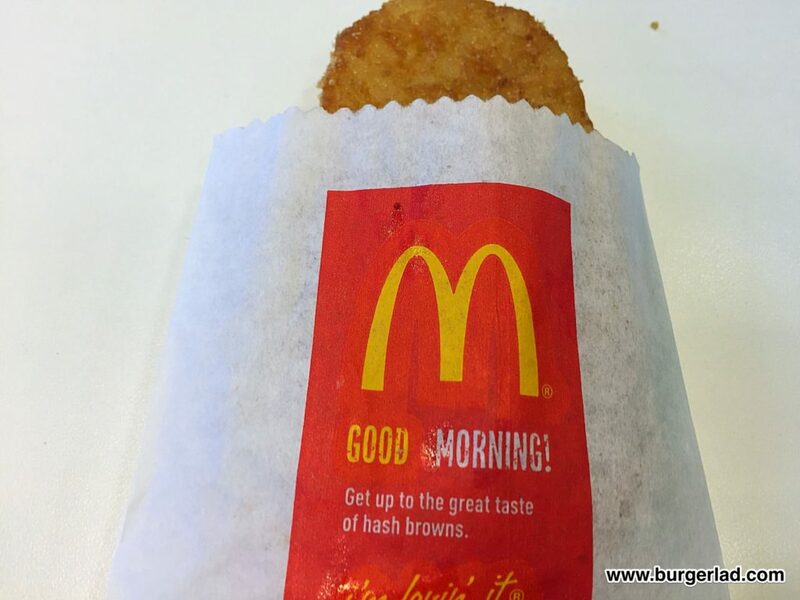 McDonald’s breakfast menu is generally served from 05:00am (can vary) until 10:30am. Some countries such as USA and Australia now offer a reduced all day breakfast menu which as of writing is not available in the UK. 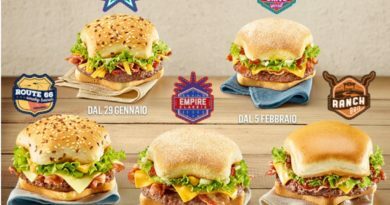 In this post, we’re taking a look at products on the McDonald’s breakfast menu and providing you with the very latest prices. 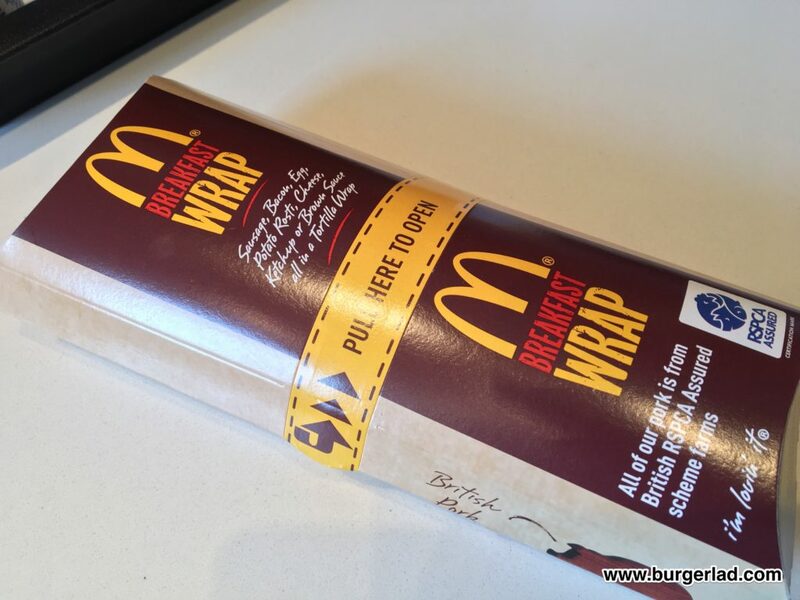 There is nothing on the Breakfast Wrap that I don’t like. In fact, it pretty much has everything and your choice of ketchup or brown sauce! 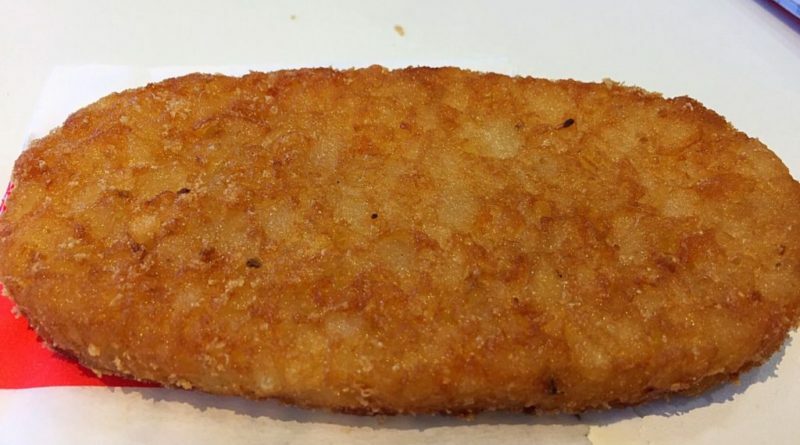 A soft, white tortilla houses a selection of ingredients found on the McDonald’s breakfast menu. You’ve got the pork sausage patty, bacon, folded free range egg and a potato rösti which I believe is different to their hash brown. And because you pick your sauce, you know it is made up fresh to order. Weighing in at 609 kcal with brown sauce (605 with ketchup), it’s definitely a once-in-a-while treat, but boy it is just that. Could be my favourite item on the breakfast menu. 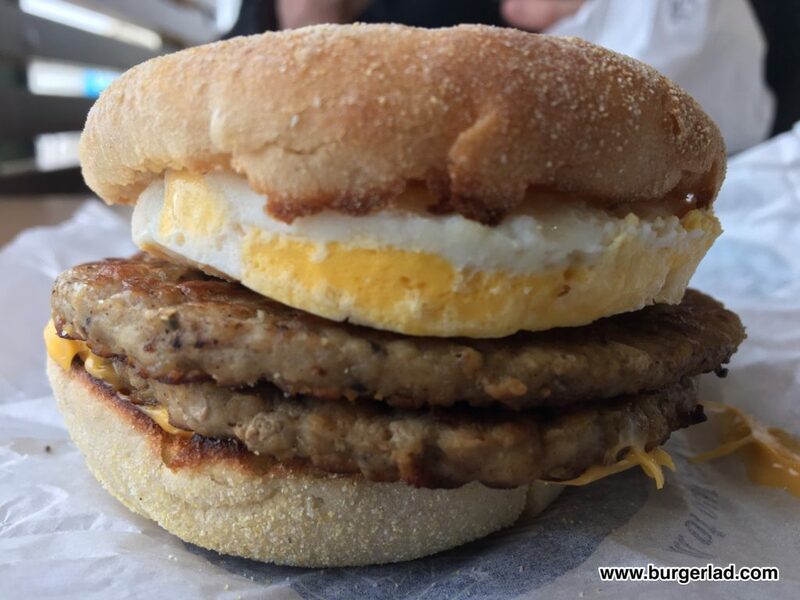 Possibly the most famous item on McDonald’s breakfast menu has to be the Sausage & Egg McMuffin. I would say that the Big Breakfast would give it a run for its money but that was discontinued in late 2016 much to the discord of loyal fans. 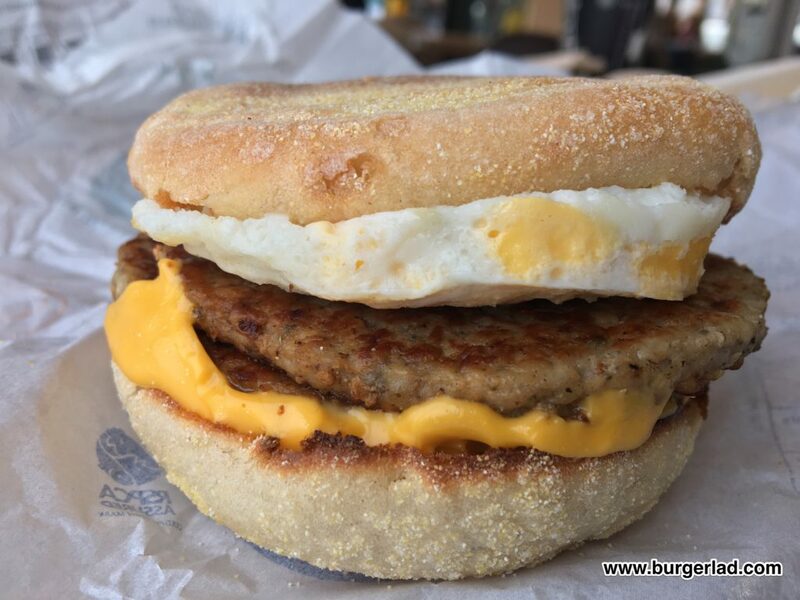 I love the Double Sausage & Egg McMuffin. The patties are slightly peppery and herby and are complimented by a slice of melted American cheese and the signature round free range egg. The muffin itself is toasted and very lightly buttered – it’s the perfect weekend hangover cure! Quality-wise, it’s pretty unbeatable for the price, with the pork coming from RSPCA British Freedom Food Approved Farms. 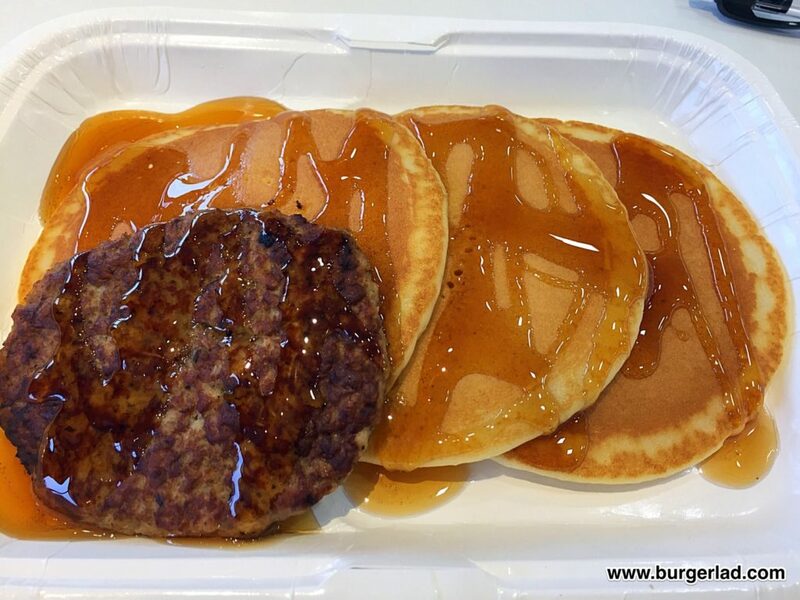 I’ve had the sausage patty before, on the Sausage McMuffin and quite enjoyed it, and with a sweet tooth I’m unlikely to turn down pancakes and/or syrup, so this dish was a winner at a good price. It consisted of three generous pancakes and that sausage patty in a bespoke flat package, with plastic cutlery and a little tub of syrup. It’s quite a large helping. The pancakes were warm and fluffy and a lot better than I might have expected, while the sweet and savoury combination of the meat and syrup was interesting and enjoyable. That patty is distinctly sausagey, albeit in a flat shape. I’d have this again – it was a very good breakfast sized meal, a nice respite from the overwhelming egg-driven breakfast items, and properly tasty. This comes in two guises, brown sauce or ketchup. 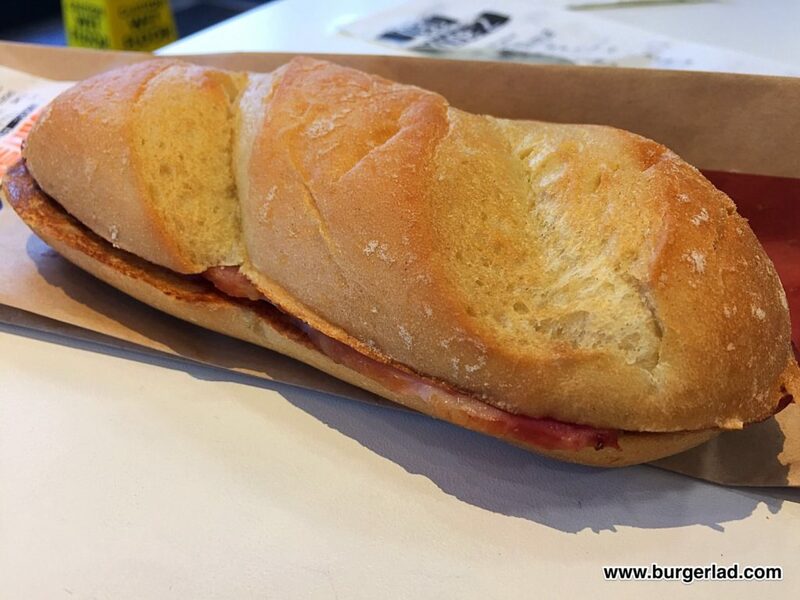 I opted for the brown sauce and it came with two large rashers in a long style soft roll, very different to the buns used on the main menu. I didn’t get the impression the bread was fresh – I’d have preferred something fluffier on the inside and crustier on the outside. This seemed a little on the stodgy side. 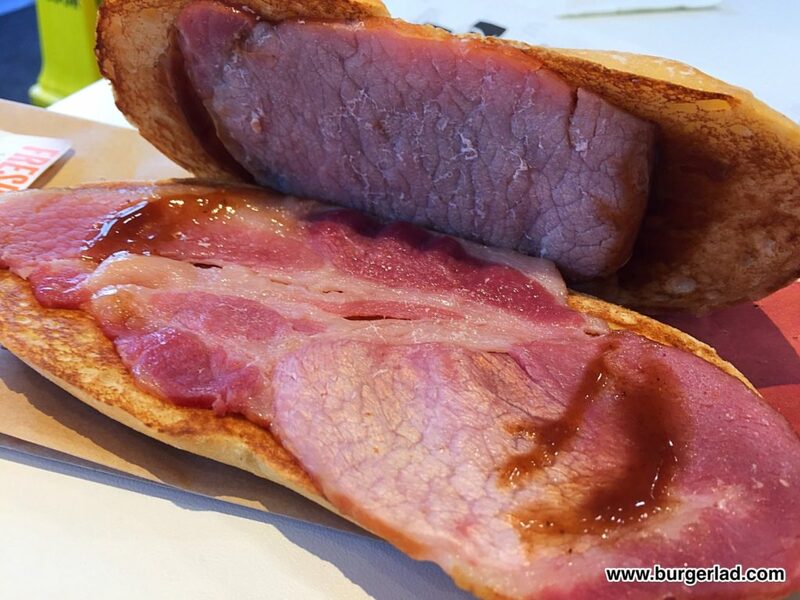 The brown sauce was applied sparingly, which I like, and the bacon really hit the spot. 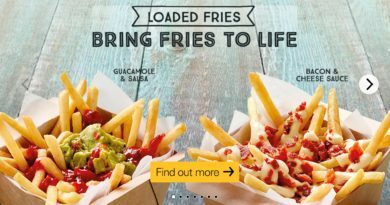 This came in a little packet and was discernibly a side dish – basically the breakfast equivalent of the fries. Taking it out and having a look, the coating was noticeably oily, while the size was very reasonable. 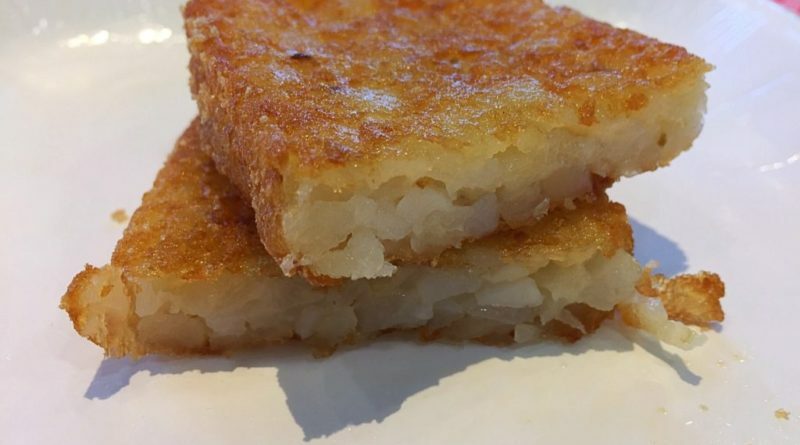 It could be a bit crispier – having not had it before I don’t know if this and the oiliness are how it always appears, or if I just got a less-than-perfect example. 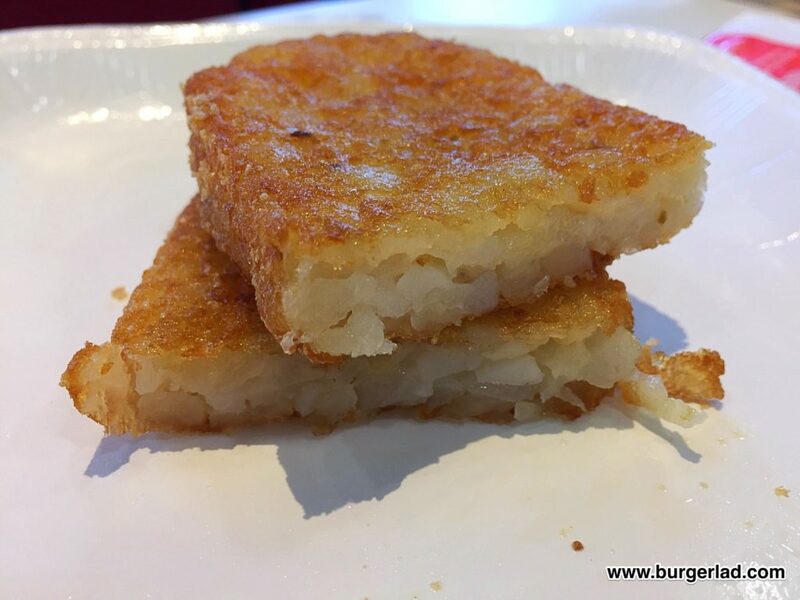 Inside, there were good coarse pieces of potato which are a big plus in hash browns. 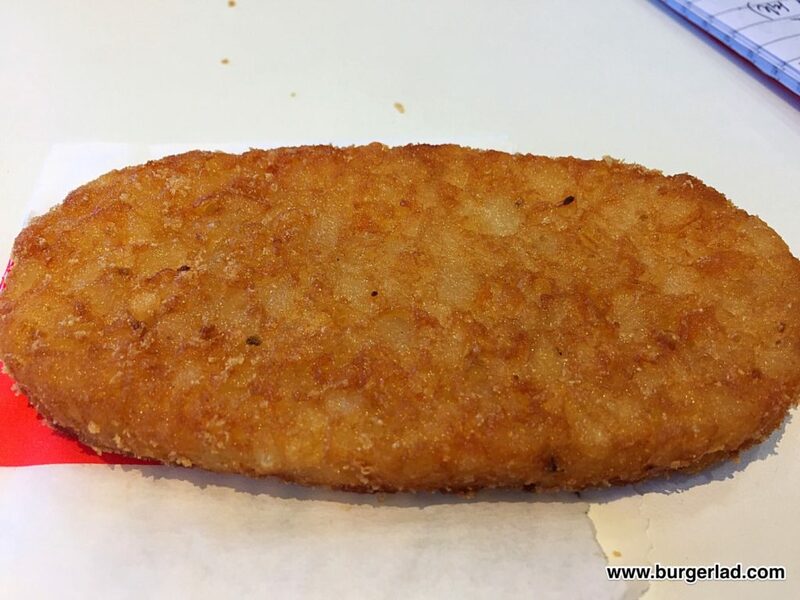 It isn’t necessarily the tastiest you’ll ever have but a very decent and respectable breakfast side dish from McDonald’s. I like my tea very much. But I don’t like cardboard cups, wooden stick stirrers or squirty milk tubes and this had all three. As a result of only getting two milk tubes, there wasn’t enough milk for my taste. Yes, I could have got up and asked for more, so the lack of enjoyment was partly my own fault. 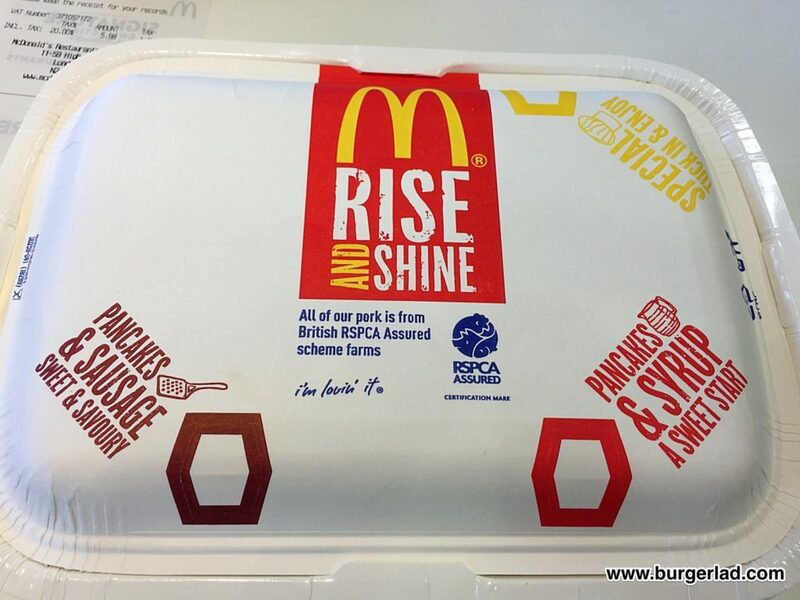 We’ll be adding more to our McDonald’s Breakfast menu post so check back for regular updates!